The Weary West - Jimmy L. Bryan Jr. This article examines the artwork of Maynard Dixon, W. Herbert Dunton, E. Martin Hennings, Frank Tenney Johnson, Frederic Remington, Walter Ufer, and others. In their search for authenticity and poetry, or for critical acclaim and financial security, Western artists of the early twentieth century contributed to the reorientation and redefinition of decades-old mythologies. They were subjective truth-tellers. Their renderings were reflective of their own angsts and concerns, and the counter themes that they identified—loneliness, loss, elderliness, toil, hardship, and others—represented their own regrets and resentments as much as the subjects they chose to interpret. Americans deceived themselves with their cherished stories of heroism and triumph, but in "the Weary West," these artists reveal an alternative view to the romance. It taught those who would stop and ponder their art to perceive a West that was more complex and diverse and interesting than the trite images of the past. Winner of the 2017 Joan Patterson Kerr Award presented by the Western Historical Association for best illustrated book on the history of the American West. 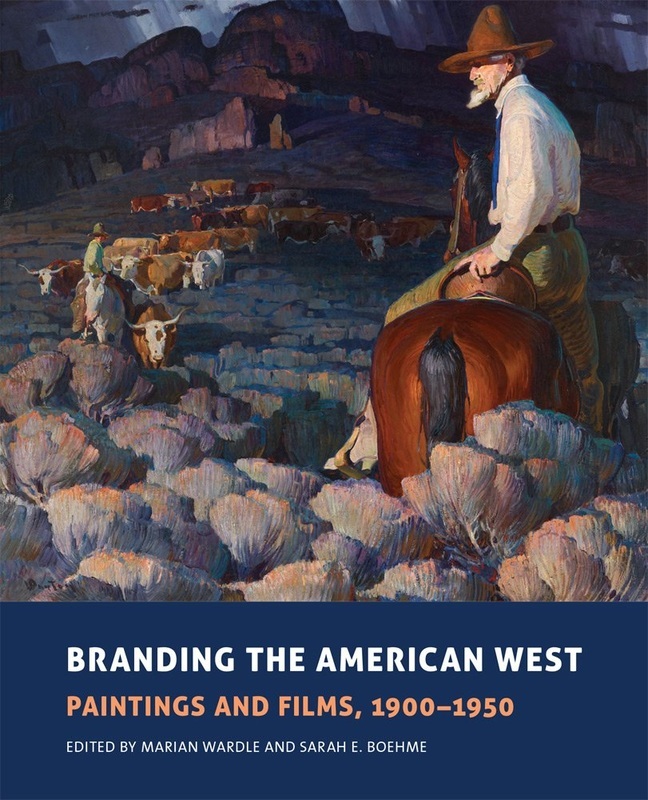 On March 4 and 5, 2016, the BYU Museum of Art hosted a conference that brought together scholars of art, literature, history, material culture, and others to discuss the cultural representations of the US West. It included this panel discussion of the editors and authors that contributed to Branding the American West. Stream from YouTube (here).